Critz BMW is proud to be your authorized dealer for BMW in Savannah, serving the entire Coastal Empire and Hilton Head, SC. Stop by our luxury BMW showroom and test drive our great selection of new and pre-owned luxury cars and SUVs. Whether you are looking for a new or used BMW, Critz BMW of Savannah has the perfect vehicle for you. With incredible lease offers and an extensive inventory, you'll soon find out why Critz BMW is The Destination for BMW shoppers. 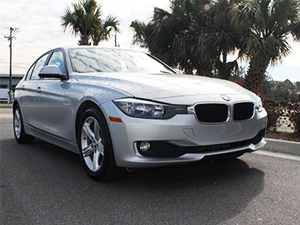 Critz BMW has a huge inventory of your favorite new BMW models near Hilton Head and Savannah on the lot now. You'll love the new BMW SUV family, including the BMW X1. And don't forget about the all-new impressive 3 Series vehicles, such as the BMW 340i. Who says luxury cars have to be brand new? Purchase a used BMW sedan or SUV from Critz BMW. Choose from our wide selection. Our BMW used inventory is handpicked, and we're always adding new options to our selection. Visit Critz BMW today to take a test drive. Looking to lease? We've got you covered with incredible lease offers on your favorite BMW models. We make leasing easy with excellent options and financing on our most popular BMW sedans, coupes, convertibles, and SUVs. Check out our current BMW lease offers near Hilton Head and Savannah at Critz BMW.